Left thumb on top; right thumb on top. When people clasp their hands, almost all have a strong preference; either the right thumb is on top (R) or the left thumb is on top (L). Hand-clasping is sometimes used to illustrate basic genetics; the myth is that hand-clasping is controlled by one gene with two alleles, and the allele for L is dominant. I do not know how this myth started, as from the first study (Lutz 1908) onwards, it has been clear that hand-clasping preference does not fit this simple myth. Most people have a strong preference for clasping their hands in one way, either with the left thumb on top (L) or the right thumb on top (R). To most people, it feels unnatural to clasp the hands in the opposite way, making it a very easy trait to observe. Surveys indicate that roughly half of the people studied are R and half are L (Wiener 1932, Freire-Maia et al. 1958, Lai and Walsh 1965, Reiss 1999). Reiss (1998, 1999) reviewed nearly 100 publications that have surveyed hand-clasping frequencies in populations around the world. There were a few populations with particularly high or low frequencies of left-over-right claspers, but most populations had between 40 and 75 percent L. The proportion of people with no preference for L or R was about 1 percent. Reiss (1999) concluded that there may be some genetic basis for this character (because LxL matings produce more L offspring than do RxR matings), but it is not a simple one-gene, two-allele genetic character. If the myth were true, two R parents could not have an L child, but almost a third of the children of RxR matings are L. In the first study on this character, Lutz (1908) reached the same conclusion based on the same kind of data, and it is not clear what the purpose was of the 17 family studies done in the subsequent 90 years. From the very first study, almost a hundred years ago, it has been clear that hand clasping is not a simple genetic trait. This has been repeatedly demonstrated using both family studies and twin studies. It is not clear where the idea that L is dominant over R came from, unless it is the unfortunately common misconception that common = dominant. You should not use hand clasping to demonstrate basic genetics. Freire-Maia, N., A. Quelce-Salgado, and A. Freire-Maia. 1958. Hand clasping in different ethnic groups. Human Biology 30: 281-291. Lai, L.Y.C., and R.J. Walsh. 1965. The patterns of hand clasping in different ethnic groups. Human Biology 37: 312-319. Lutz, F.E. 1908. The inheritance of the manner of clasping the hands. American Naturalist 42.495: 195-196. Reiss, M. 1998. Händefalten--eine Übersicht. Anthropol. Anz. 56: 163-. Reiss, M. 1999. The genetics of hand-clasping: A review and a familial study. Annals of Human Biology 26: 39-48. Wiener, A.S. 1932. 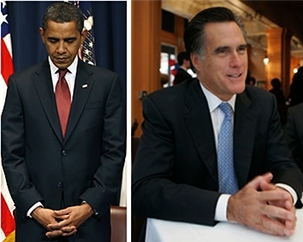 Observations on the manner of clasping the hands and folding the arms. American Naturalist 66: 365-370. This page was last revised December 8, 2011. Its address is http://udel.edu/~mcdonald/mythhandclasp.html. It may be cited as pp. 46-47 in: McDonald, J.H. 2011. Myths of Human Genetics. Sparky House Publishing, Baltimore, Maryland.